Did you receive a last-minute invitation to spend time with some friends, or do you have a work event that you forgot about? You'll want to arrive in style by driving a clean vehicle, whether you drive alone or pick up friends along the way. 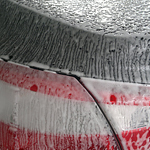 Here are a few simple yet effective tips for keeping your car clean in minutes. Start by soaking the exterior of the vehicle with the hose. This will remove all the dirt and debris from the surface. While the vehicle is still wet, use a polishing cloth and solution to bring out a shine. Drive the car around the block a couple times and there will be no stains from water droplets either. Take all the car mats out of the vehicle and bang them on the ground to remove all the dirt. Soak a cloth in glass cleaner, run it over all the interior glass surfaces to get them to shine. Use a lint brush to get dirt or debris off all the car seats; it can also work well on carpeting too. If you want to see what a different car feels and looks like this year, visit our used car dealership.